Here’s This Week’s Super Informative Newsletter! What do you think of when someone says the name Bill Murray? Maybe you visualize a sly, but quirky Dr. Peter Venkman, a chaotic and bold Hunter S. Thompson, a man named Phil trapped in a time loop (With a groundhog also named Phil), perhaps you think of the mentally misunderstood Bob, or any of the other odd & unique characters he has portrayed. No matter which character comes to mind, there are not many among us who don’t have a Billy Murray character that is very near to our heart. Mr. Murray’s style of acting doesn’t seem to immediately look like the best method on paper. He often is very unaware of the severity of the situations he finds himself in. His characters eventually appear to become aware of the clear and present danger unfolding in front of him, but approach the situation with an ironic, nonchalant attitude. Often times he wields a goofy and dryly sarcastic tongue that has cemented him as a cult icon. 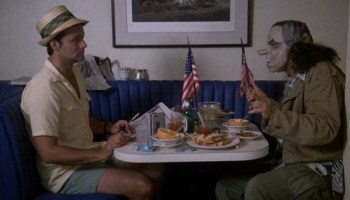 The characters he portrays are only a portion of the unique tapestry that is Bill Murray. Born on September 21st, 1950, Bill is one of 9 children, and has 6 of his own! Instead of having an agent, rather he has an 800 number that he checks semi-occasionally to hear what film roles he’s being offered. On top of his acting career, and family, he is a Chicago Cubs fan for life! You would have to look very hard to find a bigger Cubs fan than this man! From top to bottom, beginning to end, Bill Murray is a true one-of-a-kind human being. He has brought happiness to the hearts of many fans, and we await whatever future masterpieces he has to offer next! Good luck Bill, and remember…. Baby steps! Sporcle Live players make the BEST hosts! Got what it takes? Apply today! We are hiring in many areas but have an immediate need in Seattle, WA, Redmond, WA, Renton, WA, St Paul, MN, Akron, OH, Clinton Township, MI, Ann Arbor, MI, Toledo, OH, Howell, MI, Mentor, OH, Euclid, OH, Willoughby, OH, Maumee, OH, Richmond, VA, Blacksburg, VA, Charlotte, NC, Lansing, MI. Apply now! Click Here to check out our newest shows across the country! Don’t see one near you and want to help us find a place all while earning up to $500? Send an email to sales@sporcle.com to learn more about our New Locations Rewards program! 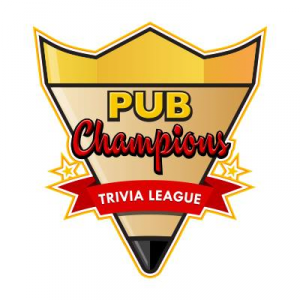 The Pub Champions Trivia League lets your team compete for trivia supremacy at your favorite Sporcle Live bars. 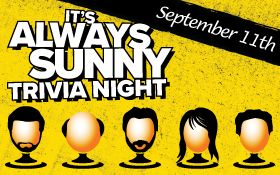 At the end of each season, each bar hosts a Venue Tournament where the winning team advances to the League Championship to compete for big cash prizes. And, it’s free to sign up and play! Copyright © 2018 Sporcle, All rights reserved. Here’s This Week’s History Filled Newsletter! Here’s This Week’s Awesome Oktoberfest Newsletter!